Shahid Manzoor, the friend of Jamaat-e-Islami preacher Rizwan Asad Pandit, has reportedly joined terrorist organisation Hizbul Mujahideen. This comes as a big jolt especially after the security forces claimed recently that recruitment by terrorist organisations had gone down in Kashmir. New Delhi: Terrorist groups in Kashmir are using the recent death of Jamaat-e-Islami preacher Rizwan Asad Pandit allegedly in police custody as a trigger to mobilise greater local support and for fresh recruitment. This has put the security forces on alert. Within a few hours of Rizwan's death, an audio clip started circulating on social media. It carried a photo of Rizwan's friend Shahid Manzoor, who is heard saying that he had joined terror outfit Hizbul Mujahideen. Shahid introduced himself as the son of Manzoor Ahmad, a resident of New colony in Jawbara area of Awantipora in south Kashmir’s Pulwama district. The security forces are yet to verify if he has joined the terror outfit, but it has been confirmed that Shahid is missing since Monday, a day after Rizwan was picked up by government forces. According to the police, Rizwan, a school principal and Jamaat-e-Islami member, died while trying to escape from the cops, refuting previous claims of custodial death. Rizwan jumped and tried to escape from an armoured vehicle and sustained severe injuries, police said. He was rushed to the hospital, but succumbed to his injuries. Rizwan was picked up by the police and National Investigation Agency (NIA) for questioning in connection with the February 14 Pulwama suicide attack. However, his family alleges that Rizwan was tortured to death and his body had multiple injury marks. 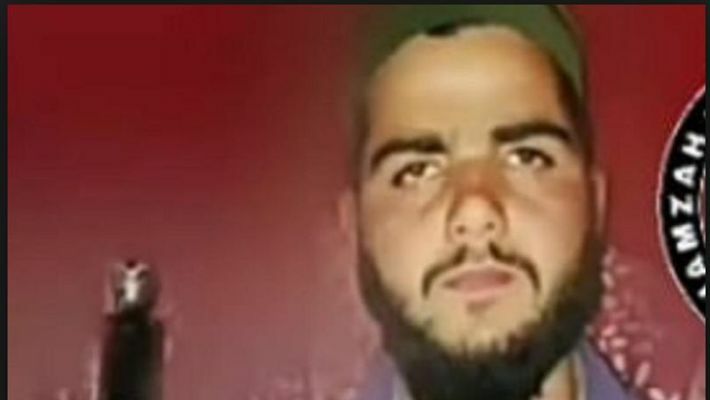 In the audio available on social media, Shahid announced that he had joined Hizbul and alleged that he was picked up with Rizwan last year and were subjected to physical and mental torture. "Last time when we were picked up by police, we were threatened that we either work as informers or face the PSA (Public Safety Act). The interrogators abused our sisters and mothers," Shahid alleged. Shahid also made a cry for jihad and claimed that picking up the gun was the only solution. "It is better to have a short and dignified life than a long one of slavery. I know after picking up a gun, my life would be very short, but jihad is the only option left if you want to free your future generations from oppression and slavery of India." He claims that it was after the brutal killing of his friend Rizwan that he decided to join militant ranks as he was aware that today it was Rizwan and tomorrow it may be him. "I wanted to live, study and be with my parents but I have no choice but to pick up the gun. I believed in peace and would think those boys who took up the gun were needlessly wasting their lives, but I was wrong. There is no option left but to fight," Shahid said in the audio clip. The security forces are yet to verify the authenticity of the audio and the claims being made. However, an official confirmed that Shahid has been missing since the past few days and an FIR was filed on March 18. MyNation is checking the authenticity of Shahid's photo and the audio. Recently, in a joint press conference of the security forces in Kashmir, officials said that fresh recruitment by terror organisations had gone down, but Shahid's claim of joining terrorist ranks has come as a big jolt. The forces suspect that such incidents like Rizwan's death are being misused by recruiters to radicalise youngsters in the Valley. The Army had recently appealed to the mothers of the Valley to persuade their sons to shun militancy and return to the mainstream or get ready to die if they don't abjure violence.